Birding has become an exciting past time for us here at the Inn. 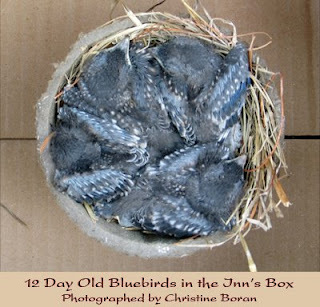 We were thrilled when our neighbor shot these photos of the Inn's first bluebird eggs and babies of the 2008 season! Aren't they adorable?